Home Blog How will the shutdown of ISDN in Australia affect your business? With the full cease sale of Integrated Services Digital Network (ISDN) products now in effect as of the 30th of June 2018, ISDN will be gone from the Australian public network by 2022. Technology, as we know, marches on and the reasons for the suppression of ISDN are twofold. Firstly, it is due to the changes wrought by the National Broadband Network (NBN) and because the supporting technologies and platforms for ISDN are nearing the end of their lifetime. Telstra is the major provider of ISDN services (the only provider of ISDN2) and before 2022 these platforms will have ceased being supported by the relevant vendors. In approximately 12 months time, following NBN's rollout timeframes, disconnections of ISDN will commence. Customers will be notified but that may leave little time to budget for an alternative service. The alternative service will be a VoIP line. Many otherwise-good phone systems will not support a VoIP line natively so some additional hardware will be required. A VoIP line will function in an identical manner to existing ISDN but your phone system has to support it somehow. 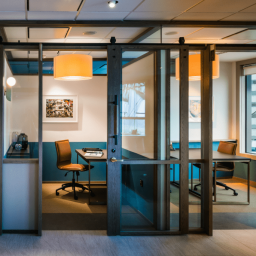 Converters are available but unless provided by the carrier at a monthly rental we feel they are poor value for money to buy outright because at some point your phone system will get replaced with one that will have VoIP capabilities and then the converter is no longer required. Our strategy is to use another phone system as a converter such as an Avaya IP Office. It accepts the VoIP line on one side and has ISDN on the other side. 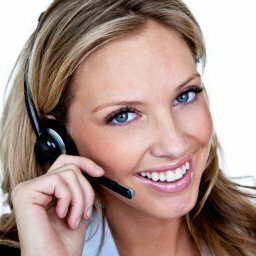 This works seamlessly and allows you to introduce additional features at the front end such as auto attendants or announcements that your existing system may not be capable of. 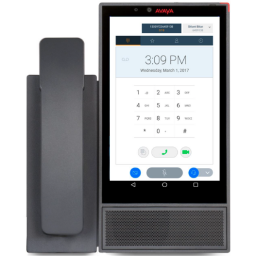 At some point in the future this Avaya system can be licensed up or have hardware added to become your new phone system with very little waste. If your existing phone system happens to be a Nortel BCM then the transition allows you to keep your old phones on the new system, saving a considerable amount of money. JB Hi Fi use this approach on existing sites and install new old Nortel phones on new sites. Do I move now or wait until the end? Savings and flexibility. ISDN will probably get more expensive as an incentive for people to move off it. Start making those savings now. A VoIP line allows easy recovery in the case of a disaster and can easily be delivered elsewhere - even over a 4G connection if necessary. Avoid the rush. Why worry about getting cut off by leaving it to the last minute? If you are unsure as to how to proceed, contact us. We are happy to discuss what you have, what you are trying to achieve and offer suggestions. Be aware of any approaches by companies trying the hard sell often by people who think they are experts in telecommunications but in reality have only been selling mobile phones for a couple of years. Many will try to push a new, and expensive upgrade when it is just not required.